The new ScanPro IC out shines the competition PERIOD! 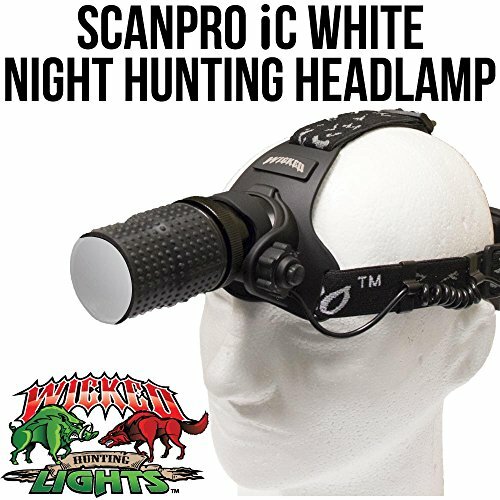 Unlike virtually all headlamps used for night hunting which are simply re-branded utility style headlamps, the Wicked Lights ScanPro IC Headlamp was purpose designed and built for night hunting. Full Intensity Control allows you to turn light on low and gradually increase the brightness - SPOOK LESS ANIMALS! Full Intensity Control - Spook Less Animals by powering light directly to any setting and then gradually increasing the brightness. If you have any questions about this product by Wicked Lights, contact us by completing and submitting the form below. If you are looking for a specif part number, please include it with your message.